Contact One Clear Choice To Schedule An Appointment or Receive a Free Estimate Today! You can contact One Clear Choice Garage doors 24/7 by calling the phone number below. We have Knowledgeable staff available to help you. With just a few questions we can help diagnose your concerns. Sometimes we Even can help you fix the problem over the Phone. If we can NOT then you can schedule an appointment with a highly qualified garage door technician and get your problem fixed today! YOUR ONE CLEAR CHOICE FOR GARAGE DOORS! Ty was on time, very helpful explaining all our options, kind and considerate! Great job! Fast! Friendly! Best prices around! Definitely recommend to friends and family. Thank you so much for giving us the opportunity to come out and make us your One Clear Choice for all of your garage door needs! We completely understand that there are many options out there from you to choose from and we are truly appreciative AND grateful you let us take care of you! Service tech was on time, very knowledgeable and did a great job. Thank you so much for your kind words! We truly appreciate you giving us the opportunity to come out and take care of you and letting us be your One Clear Choice for all of your garage door needs! These young men are outstanding! Matthew and company came to our home, fixed the issue, was professional and a delight to deal with. They know their stuff and take their job seriously! Thank you. Awesome. Thank you so much for leaving a Review of your experience. They are great guys, and we Care about your Project! thank You for The Opportunity. We Know You have A lot Of Choices. Thank You for Making Us Your One Clear Choice. Great work, and exceptional service from beginning to end! Hey. Thanks For taking The Time To Review Us. I hope Everything is Going Well. We really Appreciate you Letting us Work On The High lift Canyon Ridge Project. Beautiful Doors. I hope you are enjoying them. Thanks for Making Us Your One Clear Choice. Thanks for taking the time to review us. I know you Still Have A little More to Do But You are Almost There. Let us Know When You Are ready. We Look Forward to Working With you On All Your Garage Door Needs. Thanks For Making Us Your One Clear Choice. Thank you for taking the time to review us. We are grateful for the opportunity to work with you on your project. We know you have a lot of choices when it comes to garage doors. We have developed a reputation for being a honest value focused, company that does quality work that is affordable. Thank you for making us your One Clear Choice. Thank you for taking the time to review our company. We are grateful for the opportunity to work with you.. we know you have a lot of choices when it comes to garage door repair. Thank you for making us your one Clear Choice for all your garage door needs. THANK YOU SO MUCH! We Really Appreciate You Taking The Time To Review Us. We know you have a lot of companies to choose from when it comes to garage door repair, service, and installation. We are grateful for your repeat business and the Opportunity to be Your One Clear Choice For All Your Garage Door Needs. Thanks Anne. I appreciate you allowing us to work with you on your project. Your Design was beautiful and I am glad that it turned out how you had hoped. Don't hesitate to call if you need anything When it comes to garage doors there are a lot of choices. Thank you for making us your one clear choice! Good service. Good follow-up. Would recommend. Thanks so much for allowing us to to work with you on your project. We appreciate the opportunity! We know you have a lot of choices and we are grateful to be your one clear choice! Excellent quality and service. Give them a call, you won't regret it! It's been a pleasure working with you and Bill on your projects. Thanks so much for the opportunity! We know you have a lot of choices. Thank you for making us your one clear choice for all your garage door needs! Thank you for taking the time to review us. We know you have a lot of choices, thanks for making us your one clear choice! Thanks for the opportunity and taking the time to review us. We look forward to working with you on ALL your garage door needs. Thanks for the opportunity. We know you have a lot of choices. Thanks for making us your one clear choice for all your garage door needs. Wow. Thanks. We know you have a lot of choices. We are grateful to be your one clear choice. Thanks for allowing us to work with you on your project. Thank you for taking the time to review us! We are grateful for the opportunity. There are a lot of choices out there we are grateful to be your One Clear Choice for garage door and garage door opener service repair and replacement. 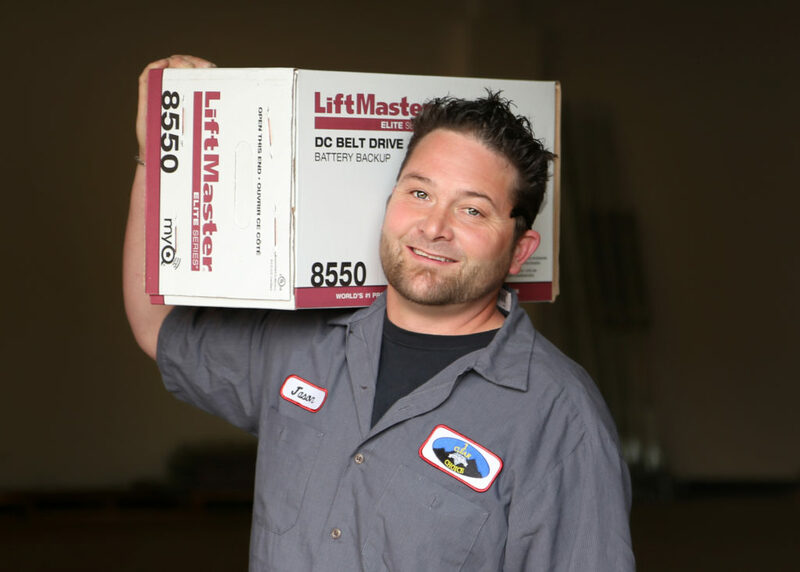 Our relationships with the industry leaders as a Clopay Master Authorized dealer and a LiftMaster ProVantage dealer provides credibility you can trust. Thank you! Thank you so much for taking the time to review us. We know you have a lot of choices. We are grateful for the opportunity and look forward to working with you for all your garage door needs. Thanks for the referrals too. We will always do our best for you, your friends and family. Cheers! We live about an hour north of Atlanta and had a broken garage door. Chris came out promptly and took care of it. Great service, parts and prices! Thanks John. It was great working with you. We appreciate the opportunity. We know you have a lot of choices. Thank you for making us your one Clear Choice for all your garage door needs! How Much Does A Basic Garage Door and Garage door Opener Service Cost? Repair a Noisy Garage Door? Garage Door Will Not Go Up? How Much Does It Cost To Repair Or Replace Garage Door Springs? Garage Door Will Not Go Down? Garage Door Off Track. Garage Door Will Not Go Up Or Down! How Much Does A New Garage Door Installation Cost? How Much Does A New Garage Door Opener Installation Cost?